We would like to present the latest addition to our veterinary instrument portfolio: The CUBE-VET analyser. Based on the well-established Eurolyser solo veterinary analyser, the CUBE-VET combines the workforce of its proven predecessor with the sleek, light and compact design of our CUBE medical point-of-care instrument. The user interface, an Android-based app and Tablet PC allow for hassle-free handling, delivering results within minutes at the touch of a button. 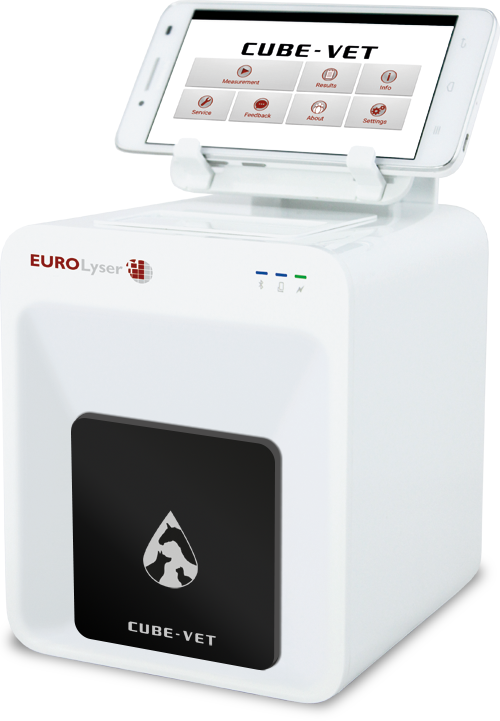 The CUBE-VET can process every single Eurolyser veterinary assay and thus completes the lineup of our versatile POC instrument portfolio. The CUBE-VET is an ideal addition to any veterinarian‘s practise. For more information click here, to visit the CUBE-VET site.